Since commencing in the industry as a youthful cadet, real estate has been Josephs life’s work and lifelong passion. Over the years, Joseph has seen many changes in the property landscape, and has himself been instrumental in the creation of several major land sub visions. Joseph and his colleagues in the early to mid-80s played a crucial role in the development of onsite auctions. 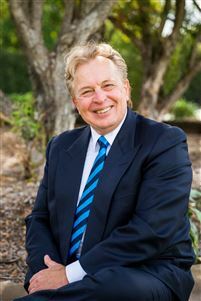 A renowned auctioneer, he has conducted over 4000 in-room and on-site auctions, with an outstanding success rate. As a sales agent, Joseph’s proficiency has been underpinned by careful strategizing and a tirelessly creative approach to sales and marketing techniques. Naturally adept at all levels of communication, from friendly discussion to persuasive discourse, his record breaking achievements include negotiating a $105 million sale in the CBD.